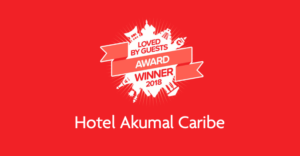 Welcome to Akumal’s very first resort and beach club. Packed with history, Hotel Akumal Caribe rests on a calm bay in the Riviera Maya, just a short drive south of Cancun. Expect beautiful white sand beaches and bright blue water perfect for water sports. We can’t wait to welcome you to absolute serenity. We’ve been awarded the 2018 Certificate of Excellence by TripAdvisor and the Loved by Guests award for 2018 by Hotels.com. Our email club is for anyone who loves sun, sand and surf, welcoming faces and a genuine atmosphere of home-away-from home in lovely Akumal. Members know about specials first and can even reply to emails to say hello – yes, we read every one!